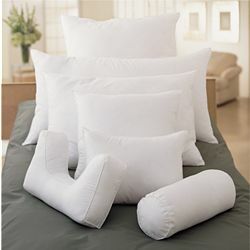 Not all down pillows are created equally. We have been equipping hotels, workrooms and retailers for over 35 years. Being the manufacturer, we have developed pillows exclusively to meet the special needs of our customers and because we are the manufacturer, we are able to control the raw materials, giving us the extra level of quality control. And because we cut out the middle man, you can save with our low factory direct prices..having the best product at the lowest prices.